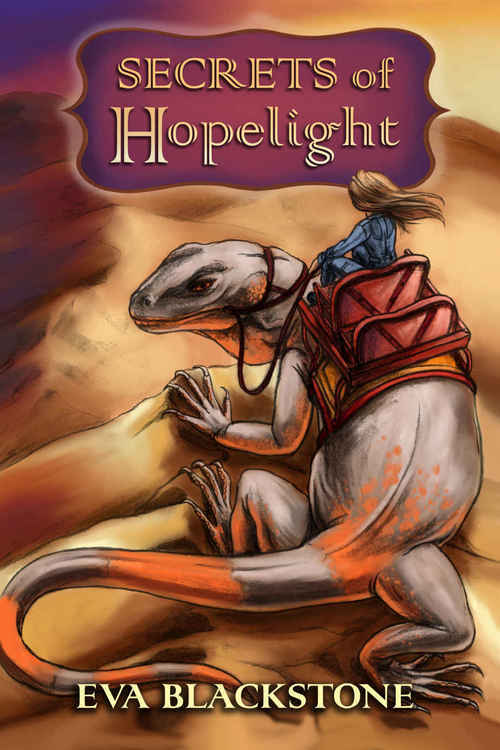 "Life in the Enclave isn't great - but the desert outside is harsher"
Nubbin Beck lives in a cave community named Hopelight Enclave, managed by The Company, which protects them all from the outside desert. They can peer out through glass at the unforgiving sand and tell themselves they are lucky to work for the Company. SECRETS OF HOPELIGHT sounds much like the premise of Hugh Howey's famous 'Wool' series so I was interested to see how this book differed. The first difference is that instead of someone asking to get out of the silo where everyone lives, someone is trudging through the baking desert, needing to get in to shelter. Nubbin and her family spot the stranger and rally around to fetch him, risking harm from the scorching sun. They don't have enough water for the end of the week, but the dehydrated man needs it more than they do. His ID chip has been surgically removed, but he's in a pilot's uniform. Just what has happened is a puzzle but Nubbin is warned to keep the arrival a secret; she and her brother Talin and school pal Piper need to get on with life. This is not a friendly society; adults have to petition and wait in order to be allowed to have a baby, while anyone who doesn't like beetles really should give the Company dye farm a miss. On the other hand, four times a year the enclave gathers, and goods are brought in trade from other enclaves and the dead cities. Not a great life, but better than being outside with no resources, biting insects and predatory reptiles. While I did see parallels with Wool and with Red Rising by Pierce Brown, Eva Blackstone has plenty of originality and her plucky girl character is well able to persuade us of the world she inhabits. Although she's nearly fourteen, at times people refer to Nubbin and the classmates as children, making it clear that the book is intended for YA readers. This work is a good starting point for talks about a life short of resources and run by those who take rather than give. SECRETS OF HOPELIGHT is adventurous, dramatic, messy and ultimately hopeful. My main concern about YA dystopians has been that they show adults are not to be trusted; Hopelight however shows that some adults running giant organisations are not trustworthy but other adults, especially family, doctors and so on, are a good place to go for help or advice. This would be a great gift for the brave, SF reading young adventurer in your house.